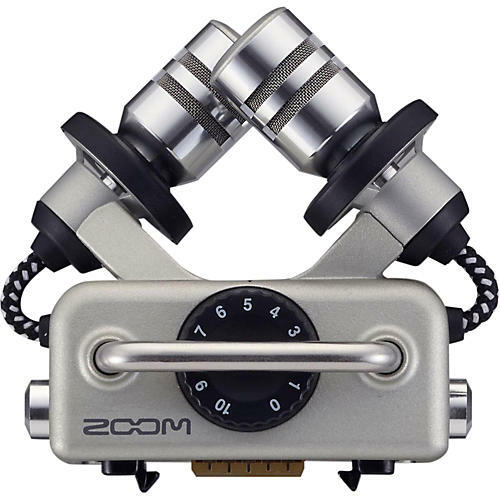 Shockmounted stereo microphone capsule for the Zoom H5. The XYH-5 X/Y microphone capsule provides two matched unidirectional condenser microphones set at a 90 degree angle. These mics are housed within an advanced shockmount that employs rugged external mic wires and rubberized material to minimize vibration and handling noise, making the XYH-5 ideal for location videography and live broadcast/podcast applications. The design of the XYH-5 also allows it to handle extremely loud sounds-140 dB SPL, to be precise (equivalent to the sound of a jet aircraft from less than 200 feet away)-making it perfect for capturing the sound of live rock concerts and for electronic news gathering.